The Frome Lions held their summer fete on Saturday 9th June at Victoria Park and it didn’t rain, in fact the sun shone brightly. “What a great relief as this was the best weather of the week and brought lots of families out to enjoy all that was on offer,” report the Lions. 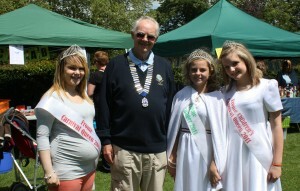 The afternoon festivities were opened by Frome’s Carnival Queens and the Lions’ president Dave Allen. Lots of Lions train rides, burgers, hot dogs and teas and cakes were consumed as the spectators enjoyed the weather. The Starr Eyes Foundation sang karaoke songs along with displays by the Frome Charisma Twirlers, the dog training club and a Punch and Judy show. Many also enjoyed the bouncy castle, face painting and other charity stalls spread around the park. The Lions estimate that after costs, just under £1,500 will be added to their charitable trust account to help lots of needy people and causes locally. But the Lions feel that to see so many smiling people enjoying the atmosphere of this community event was just as rewarding. The Lions would like to take this opportunity to thank all people involved in making this event possible. For more information about the Frome Lions Club, please visit their website at www.fromelions.org.uk. 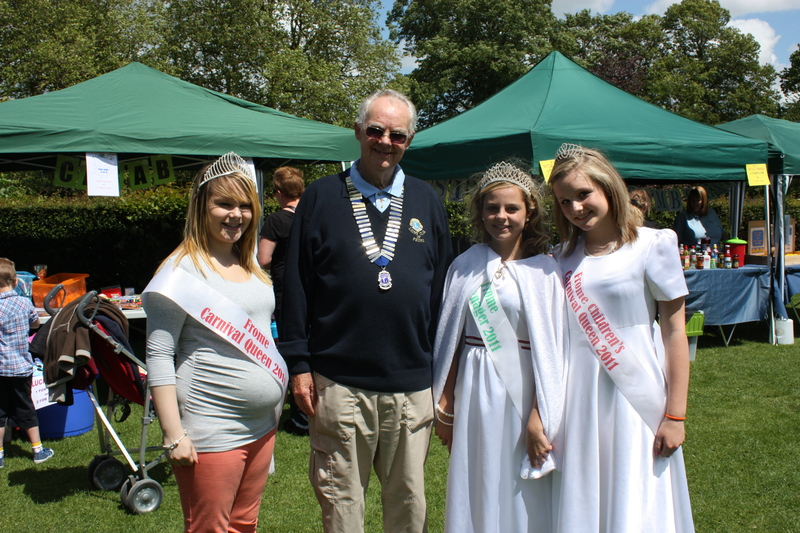 Above: Frome Lions’ president Dave Allen and Frome Carnival Queen Shenelle Drew, Children’s Queen Jade Pollock and Miss Teenager Aleesha White who opened the fete.